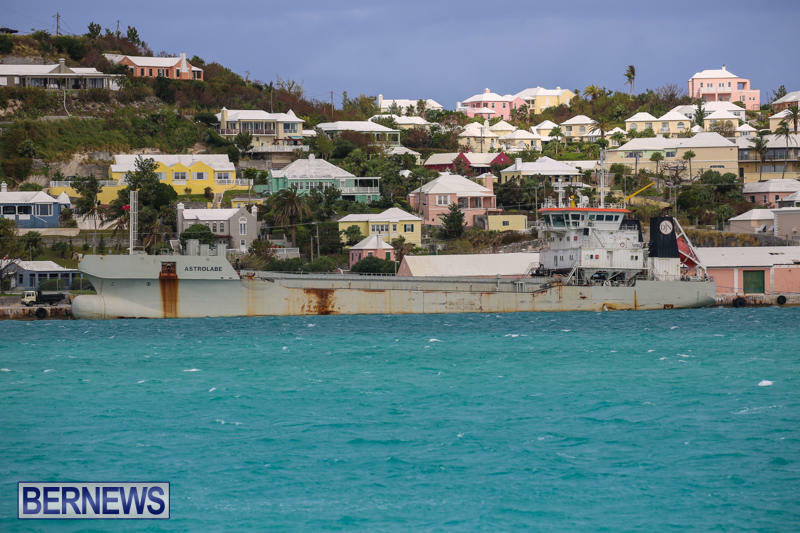 Two ships — the Niccolò Machiavelli and Astrolabe — have been seen in Bermuda’s waters, with both ships listed as “dredgers” on marine websites. 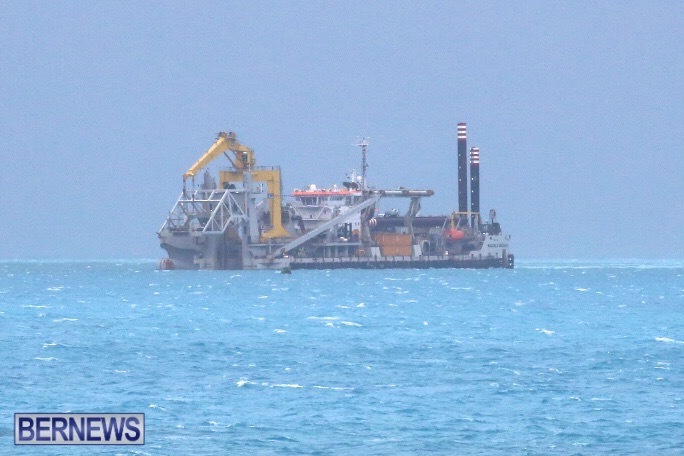 Last week the Ministry of Public Works said the widening of the North Channel — to accommodate the new generation of cruise ships — will commence at the end of this month, and the dredging will be a 24 hour, seven day a week operation and will take approximately one month to complete. In addition to the Niccolò Machiavelli and Astrolabe, this week’s Bermuda shipping schedule [PDF] also lists another dredger, Boussole, as scheduled to be here. So so so so bad for the reef system! And I cant even get my car passed with a little rust on it. Or not, maybe it will boost the reef ! Nothing else is working. the Bays and Creeks need dredging too don`t you think? what do you mean by nothing else is working?? Has there been a concerted effort to boost the existence of the various reefs that I don’t know about.. Not attacking you, just trying to get clarity on that comment. Don’t know how dredging will boost the reef, but I am eager to be educated. I thought I was dreaming when I saw those vessels just off shore and alongside a dock. Rum and silt all around. wonder how much this is going to cost the Bermuda Tax Payers! with all the money marine/ports collecting (4000)BOATS/MOORINGS THEY SHOULD DREDGE SOME OF ARE BAYS/CREEKS. Ridiculous messing up the economy system and the reefs bigger ships don’t mean bigger money said. I am amazed because when the PLP was in power, certain people within the community including some in the current government complained and criticized when the then cruise ship policy. Things were said, like, we don’t need these hamburger people, too many cruise ships what about our airline n hotel guests, those poor dolphins. I guess since the CAN’T do NO wrong OBA is in power, it’s ok to dredge the channels to accommodate even larger cruise ships. Where’s the ECO ppl hollering and screaming. You been pretty quiet.